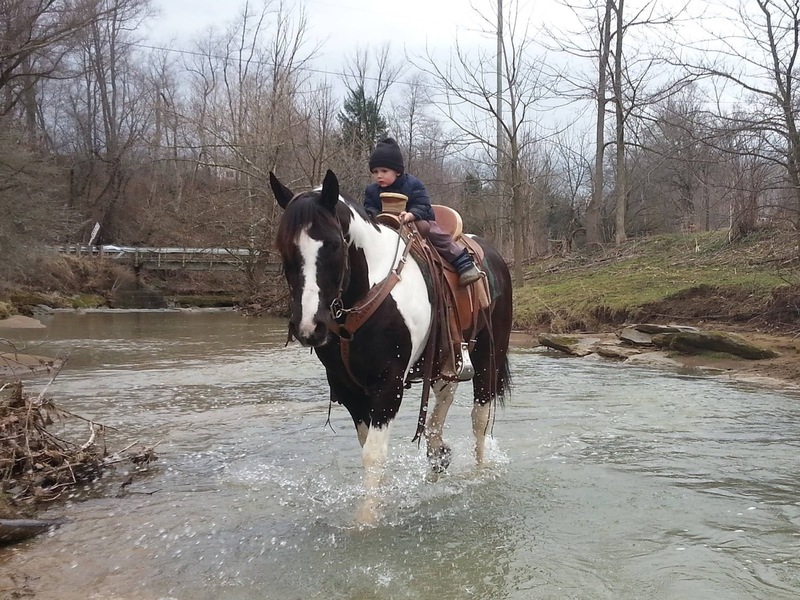 This 2004 Spotted Draft/Quarter cross is scheduled to be sold Saturday, April 11, 2015 in The Great American Trail Horse Sale at the Virginia Horse Center in Lexington. This is a photo submitted on Facebook for the sale. 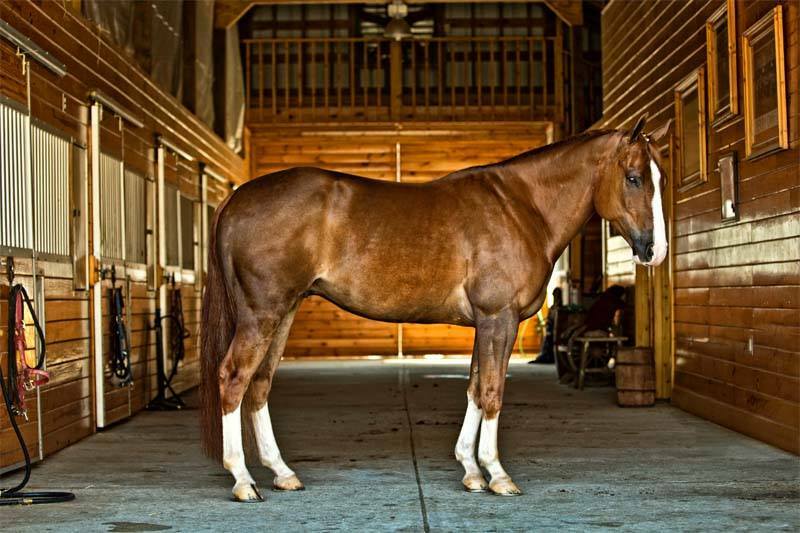 The Great American Trail Horse sale is this Saturday (April 11, 2015) at the Virginia Horse Center in Lexington, Va., and I’m already drooling over a couple of the horses to be offered. Auctions can be a lot of fun and get your heart racing with excitement. But it’s important to not let the fast-talking (really fast), ringmens’ yells, and falling gavel make you have buyers’ regret later. Here are some tips before you sign up to bid. Set your budget. But at the same time don’t allow a few hundred dollars stop you from getting your dream horse. Do not allow a battle of egos during the bidding make you spend more than you wanted or more than the horse is worth. Have a few horses in mind. There may be someone else who really wants Hip No. 28. So be prepared to have a backup (or two) later in the sale. MR. HICKORYS STARLIGHT (AQHA) is Hip No. 39 in the sale. Be aware if the auction considers all sales are final. (Most do) Some unscrupulous sellers may drug a horse to make them seem quieter than they are. (The Great American Trail Horse sale does offer a return policy if the horse turns out to be unsound within 5 days of the sale.) Watch out for horses that aren’t excited by their new surroundings in a similar manner to the other horses. That may be an indication that they have been drugged. Do not wait too long to bid. Sit down several horses before the one you are interested in and let the ringman know when you are interested in a horse so he can watch for your bid. Jump in when the bidding starts to slow. That usually means you have reached the reserve. Don’t make a big show of bidding. Just let your ringman know. It’s better if other bidders don’t know who they are bidding against. Be aware of common budgets. Many people may have set a budget for themselves of, say, $5,000. It may be worth going a bit over that number to get a horse. $500 increments and $1,000 increments are common budget limits. If a horse is at $2,800, it may be worth bidding $3,000, skipping right over $2,900 so that you hit that budget amount and psych out the other bidder. Remember that there is some risk involved in buying a horse at auction. What you see at an auction may only be a small glimpse of that horse. The horse may have vices or medical problems that didn’t appear at the auction. And you aren’t going to be able to try out a horse for yourself like you can during a private sale. During a private sale you can return to see the horse on different days and often try them several times. When you purchase via an auction you are getting a much smaller glimpse of that horse’s behavior. Many horseman believe that horses end up at auctions for a reason. While that is not always the case, buyers should always be on the lookout for problems. Know and be comfortable with the conditions of the sale before you buy. They usually are listed in the sale catalog.